An ideal first purchase or upgrade from a wooden club bow for target archers that want to progress. A smart drop forged riser, provides a strong riser with good dampening properties and carbon/foam limbs for a smooth draw, speed and confidence. 25" Riser, 6 smart anodised finishes, which are harder wearing than a painted riser than will chip. Currently available for Right handed archers, Left handed version available soon. 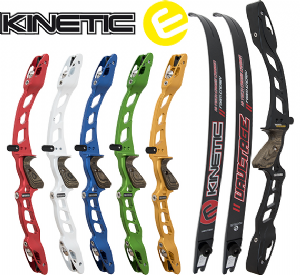 Includes Fastflight string, Tied on nocking points and Hoyt Pro Arrow Rest. Currently Internet only allow 3 - 7 days. Free Bow Fitting & Set up in our Pro Shops when you buy your Riser and Limbs from us in store.